D.K. 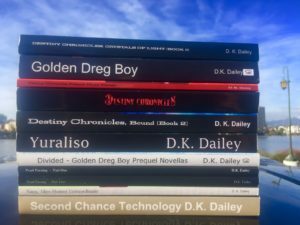 DAILEY, EAST OAKLAND’S SCIENCE FICTION WRITER, AUTHOR OF 13 BOOKS, STILL SEEKING A PUBLISHER. Meeting D.K. Dailey, you probably wouldn’t guess her unique accomplishment – she’s written 13 books. And even though she hasn’t been published yet, she keeps writing. 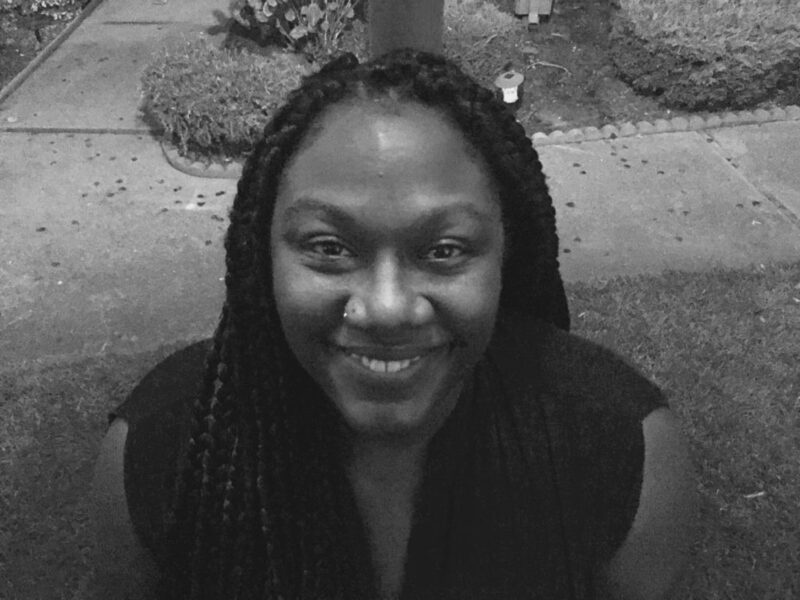 Dailey, who also happens to be my sister, answered a few questions about what it is like to be a resilient young Black woman who hopes to write young adult science fiction for a living one day. And on how her deep East Oakland address comes into play when she submits her work to publishers and agents. To someone who does not know, what’s the process like? “Most ideas percolate for awhile before I have a full storyline. But once I have an idea, I outline it then write it. I revise and rewrite and work with editors to polish my work for submission to agents and publishers,” she said. What are your books about and why do you like this genre? 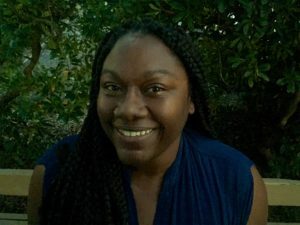 Dailey found herself feeling a pressing responsibility after Oscar Grant, a young black man, was shot and killed by a white officer on the Fruitvale BART platform in Oakland in 2009 – the shooting was taped by bystanders. Oakland was in the spotlight. His death, the first high-profile shooting in this generation, and the protests that followed helped lay groundwork for working to better the social and systematic injustices in America through the Black Lives Matter movement. What is it like to be a writer in East Oakland today? So do you have any advice for others? In the words of Octavia Butler, the science fiction and fantasy hall of fame writer: “It’s dangerous to assume, that we can, actually, see the future, by only looking at, the technological advancements we’ve made so far.” And in like manner, D.K. Dailey continues to persevere a future through writing science fiction fantasies, a dream far beyond her technical address of East Oakland proper. bravo to the oakland tribune for publishing stories about local authors. brava to d.k. for creating a space for folks to escape in a often violent and tumultuous world. Loved the story behind DK Dailey’s writing! Her inspiration and perspective are needed and she will succeed. She already has as a example of talent, dedication to her craft, and perseverance. Thanks for such an informative article that highlights the rich and universal themes explored in these science fiction works . 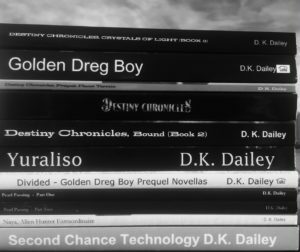 Previously, not a science fiction fan, i now want to read D. K. Dailey’s work. Where can i purchase a book?